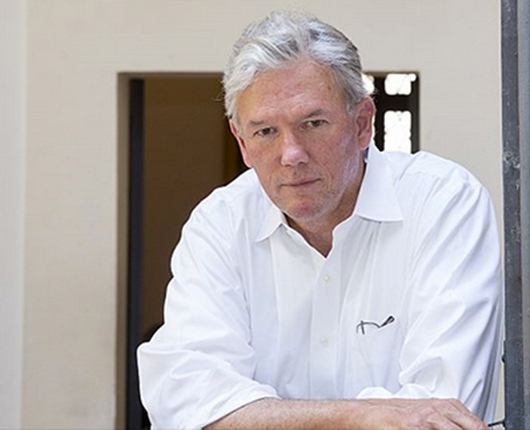 William Finnegan gives a nonfiction craft lecture/Q & A on Friday, October 13, 8 pm, in the Dell Brown Room of Turner Hall. The event is free and open to the public. Note the 8 pm start time - Finnegan will be arriving from the Distinguished Alumni Award reception. Finnegan, who earned a master’s degree in creative writing from UM, is an award-winning journalist who’s been a staff writer for The New Yorker since 1987. He’s spent the majority of his career writing in-depth features on conflicts at home and abroad, reporting on everything from apartheid in South Africa to the politics of immigration reform in the U.S. In 2016, Finnegan’s surfing memoir, BARBARIAN DAYS; A SURFING LIFE, won a Pulitzer Prize. The New York Times best-seller chronicles his “youthful obsession” during his formative years as he traveled the world looking for the next big wave. He has earned numerous accolades for his reporting as well, and his research and reporting have resulted in several nonfiction publications, including COLD NEW WORLD: GROWING UP IN A HARDER COUNTRY. The public is also invited to attend a panel discussion featuring the Distinguished Alumni Award recipients at 5:30 pm on Friday, October13 in the University Center Ballroom. An awards ceremony and reception will follow.